Our national public lands are under threat. Despite overwhelming support for the continued protection of Bears Ears National Monument, Secretary of the Interior Ryan Zinke wants to reduce the size of this culturally rich and recreationally spectacular place. This isn't just an assault on one monument, it's a threat to all national monuments and places you love. On April 26, President Trump signed an executive order to review the designation of 27 national monuments, including Bears Ears. To date, over a million comments have been submitted, with the majority advocating for the continued support of these culturally rich and recreationally spectacular places. Still, Secretary Zinke wants to reduce the size of Bears Ears. But the comment period for these monuments is still open. Sign up here to add your voice. You have until July 9 to speak up for America's national monuments. By signing you may receive a text message when your comment is submitted. Message and data rates might apply. Reply HELP for help, or Stop to 52886 to unsubscribe. 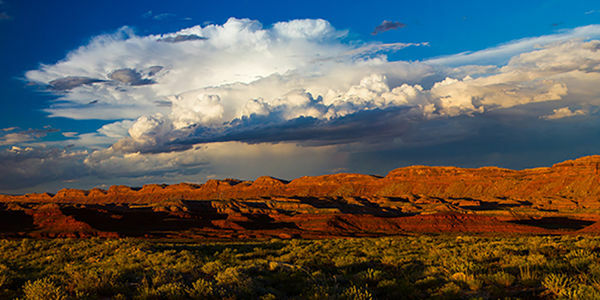 Please don't rescind or alter Bears Ears National Monument. This culturally rich and recreationally spectacular place is part of our national legacy and the legacy of future generations. It's one of the important wild places where we go to run, hike, camp, ski, fish, climb and spend time with our friends and families. These public lands are not just beautiful but economically beneficial to our local communities and our nation as a whole.